New York is known as the Empire State, due in large part to the state’s influence in US business, culture, and industry. 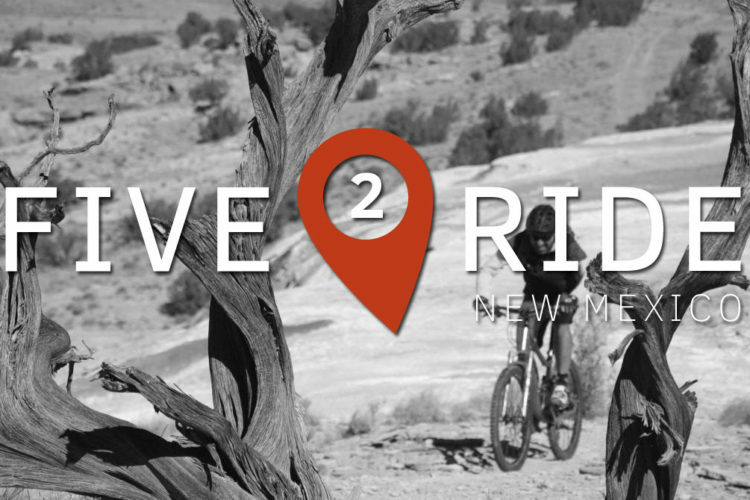 But New York is also quietly building a singletrack empire, one that’s based on high quality, accessible mountain bike trails located throughout the state. As the largest northeastern US state, New York boasts multiple mountain ranges and vast wild areas begging for mountain bikers to explore. We combed through hundreds of trails reviews on Singletracks, consulted with forum regulars, and reached out to some of the groups building trails in New York to determine which trails are tops in the state. 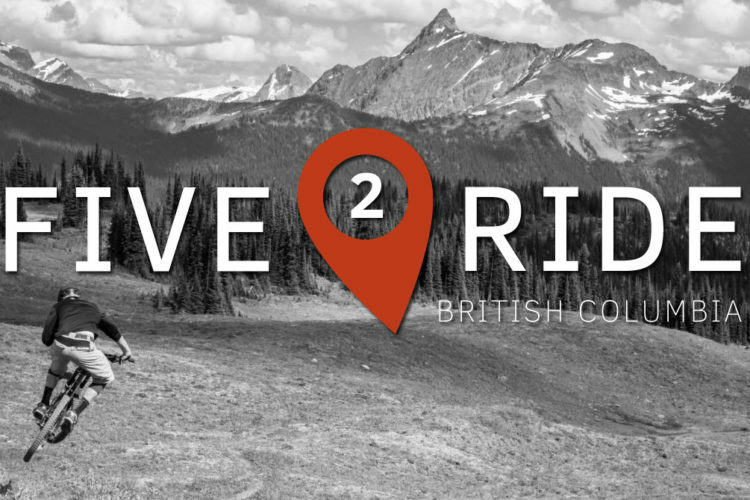 As far as we can tell, the following MTB trails are the best of the best. The Blue Mountain trails are located near Peekskill just east of the Hudson River and offer great scenery, with countless ponds and rock outcroppings dotting the park. The park features beginner, intermediate, and advanced trails, though advanced riders will probably enjoy Blue Mountain the most thanks to regular root webs and rock gardens. Some riders report the trails are difficult to follow and may not be well marked, so be sure to pick up a map. 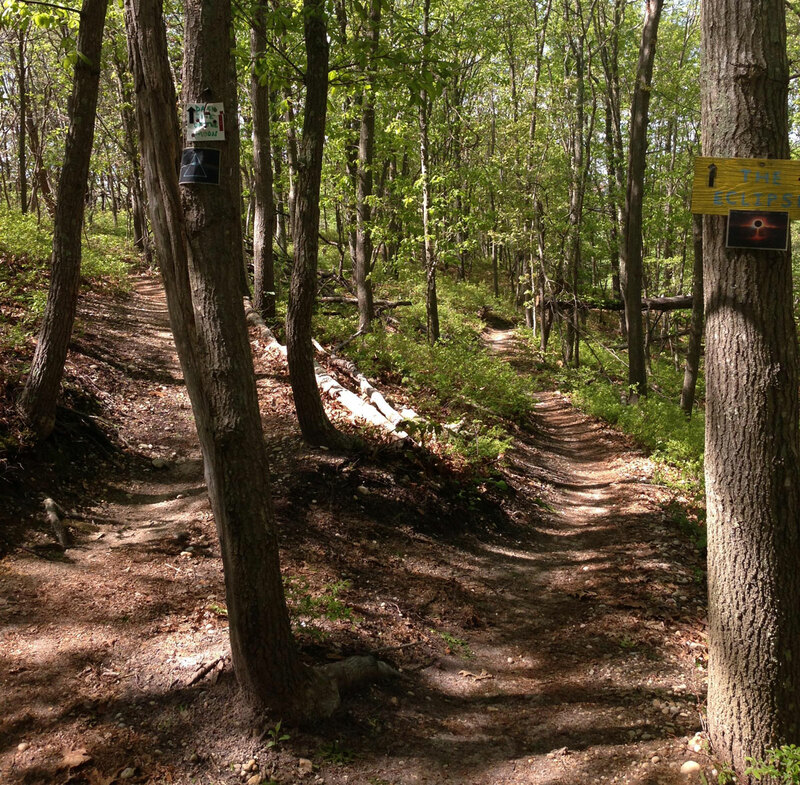 Ellicottville is New York’s lone IMBA Epic trail system, boasting more than 31 miles of singletrack in McCarty Hill State Forest. 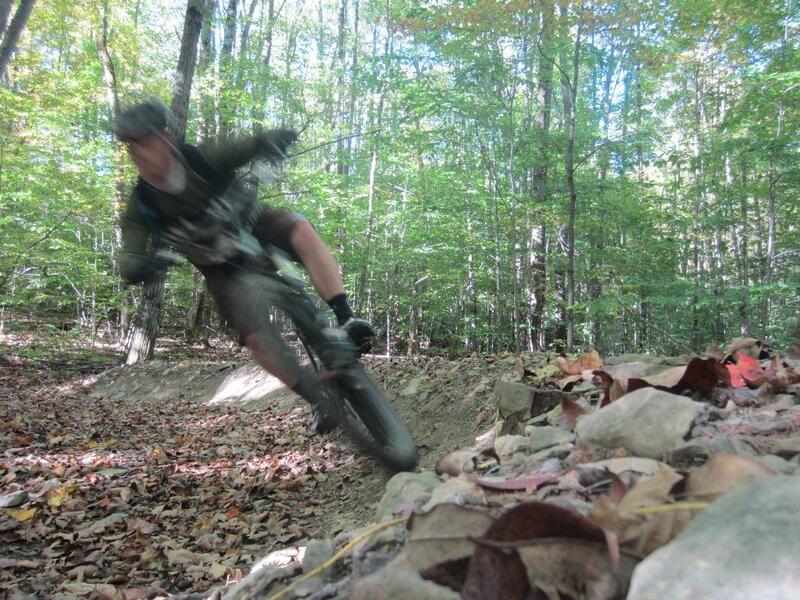 The trail system ties into the lift-served Holiday Valley Ski Area and is maintained by the Western New York Mountain Bicycling Association. Ellicottville is known for its long steep climbs and descents, and for its technical trails pocked with rocks and roots. Trails are accessible from the town of Ellicottville, making it a good basecamp for a weekend of mountain biking. Be sure to pick up a map at the Bike and Bean shop before you hit the trails. “Excellent trails! 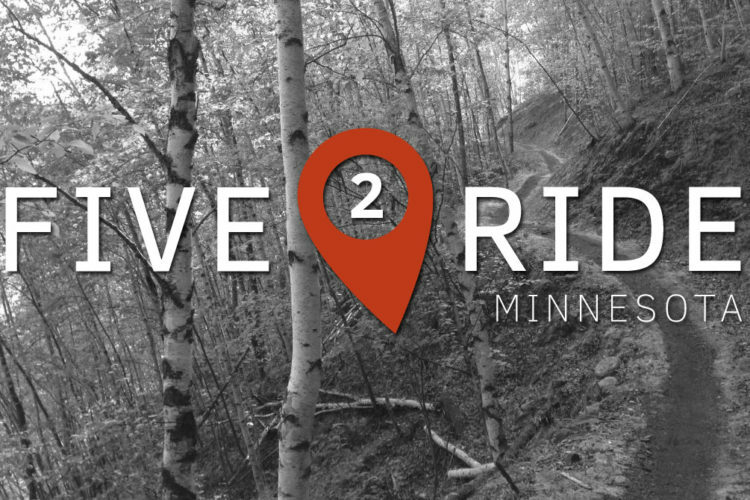 Eagle Trail climb will punish even seasoned bikers, but also put a huge grin on the way back. Trails are rooty, rocky, twisty, and flowy. It’s a true Epic ride. The Glacier Ridge trail system is located on Long Island, the largest and longest island in the contiguous United States. Not only that, nearly 40% of the population of the state of New York lives on Long Island, making it a huge population center. 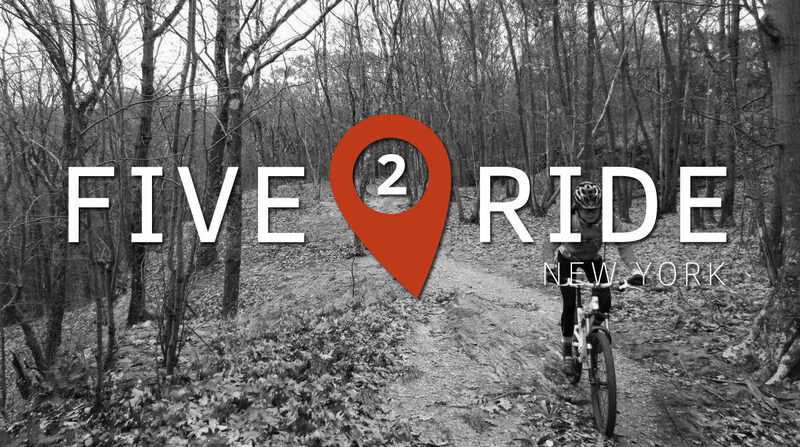 Concerned Long Island Mountain Bikers (CLIMB) is the local club that maintains the trails at Glacier Ridge, and the club is on track to have built 20 miles of trails within 20 minutes of any community on Long Island. Talk about accessible trails! CLIMB president Michael Vitti describes Glacier Ridge as a “13-mile pump track,” and its location near the center of the island makes it a popular spot among local riders and visitors alike. 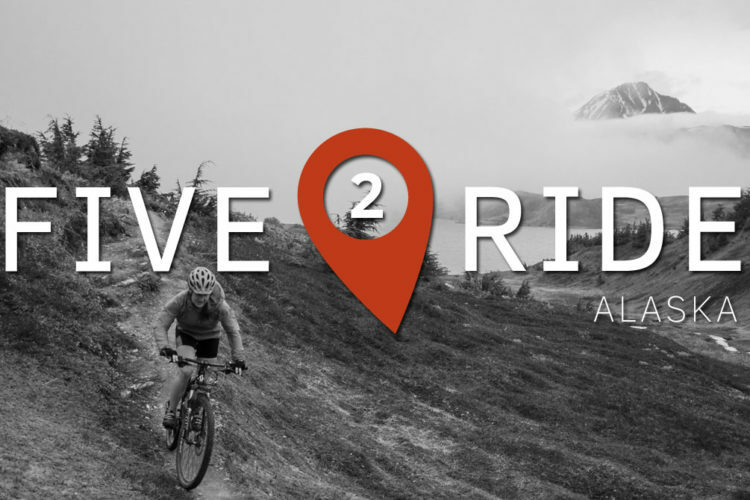 As the name suggests,Glacier Ridge does offer decent climbs and descents, with about 150 feet of elevation separating the high and low points in the network. 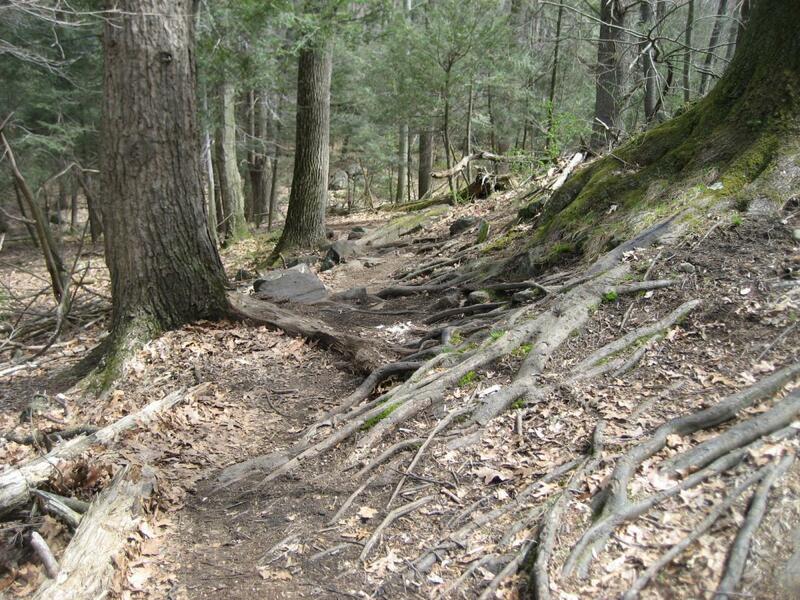 The Central New York Mountain Bike Association takes great pride in building and maintaining excellent singletrack in the Finger Lakes region of New York, as the trails at Shindagin Hollow clearly demonstrate. This 17-mile network offers 600 feet of elevation between the high and low points with trails ranging from technical to flowy. Also known as Stewart Airport, the massive Stewart State Forest trail network offers something for just about everyone. For the most part, the trails are smooth and fast, with occasional natural features to keep things interesting. 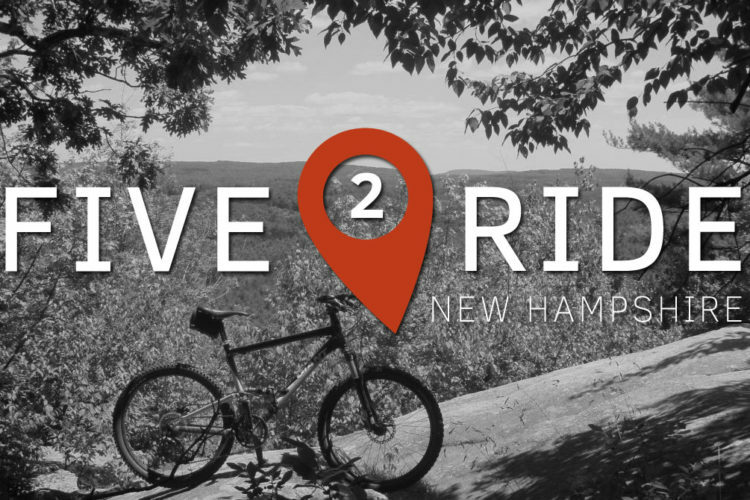 Mountain bikers can easily create a 20+ mile ride at Stewart State Forest without any repeats. 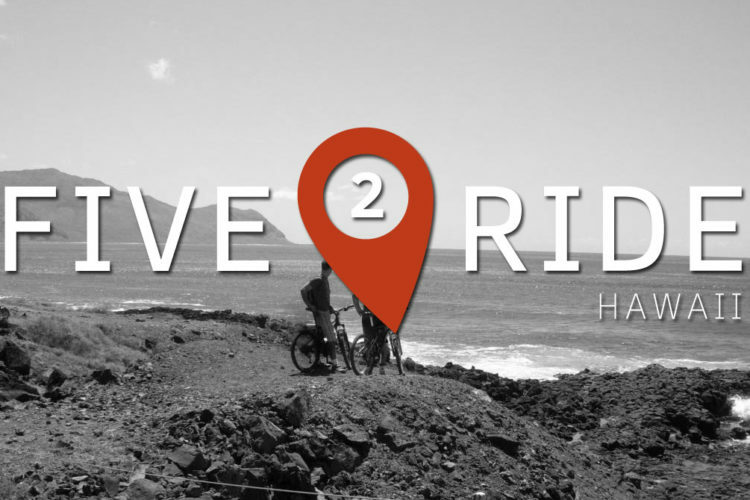 Most climbs and descents are fairly short, but the rolling terrain means plenty of ups and downs throughout the ride. Once again we had a hard time narrowing our list to just five trails, so here are a few more trails worth checking out. Rocky Point: Another popular CLIMB-built mountain bike trail on Long Island, Rocky Point offers more than a dozen miles of flowy singletrack. Cunningham Park: Located in New York City, Cunningham features seven miles of flowy mountain bike trails with another three miles set to be added this year. And this isn’t even the only singletrack trail located in NYC; Highbridge in Manhattan sports a pump track and a couple miles of trails as well. Round Top (aka Roundtopia): Word on the street is this well-marked trail system features a German beer garden at the trailhead. 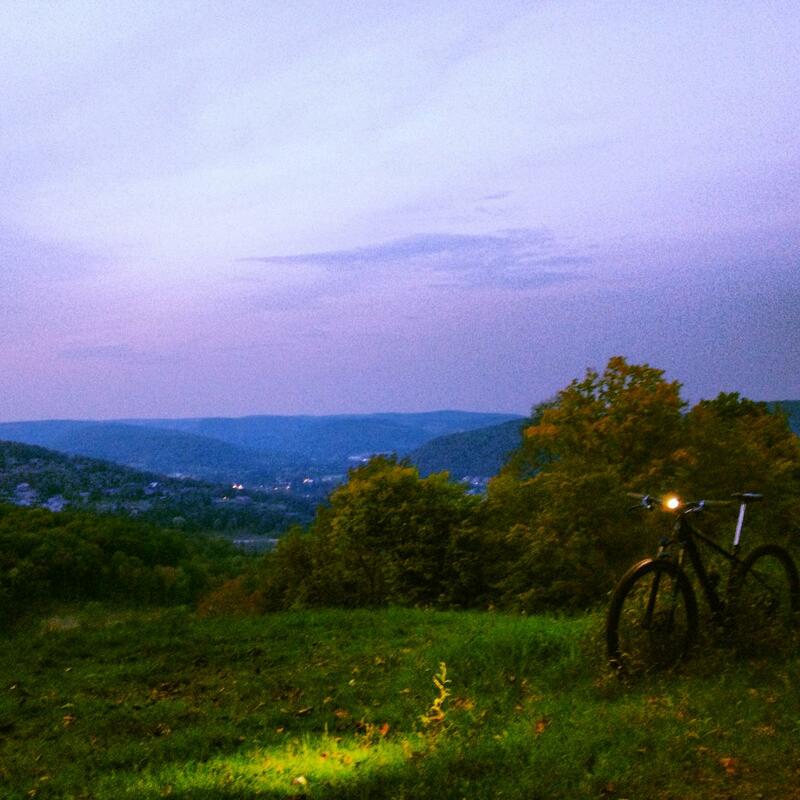 Your Turn: Which other trails do you consider “must-ride” in the state of New York? Thanks to Michael Vitti of CLIMB for his assistance putting this list together. No mention of Sprain Ridge? Putting together a top 5 list of trails in a state as large as NY is difficult, if not impossible, especially given the quality of the trails in the state. It sounds like Sprain Ridge, along with a few others, deserves an honorable mention for sure! One of the reasons we didn’t include Sprain Ridge is, according to the Singletracks trail ranking algorithm (which is clearly fallible), Sprain Ridge ranks #48 in the state, based on trail reviews. Unfortunately Sprain Ridge also didn’t get mentioned by anyone in our forum conversation, nor in conversations with local NY club leaders, from which we received over a dozen different trail recommendations. Not saying Sprain Ridge isn’t worthy, this just shows how difficult it is to choose only 5 trails! 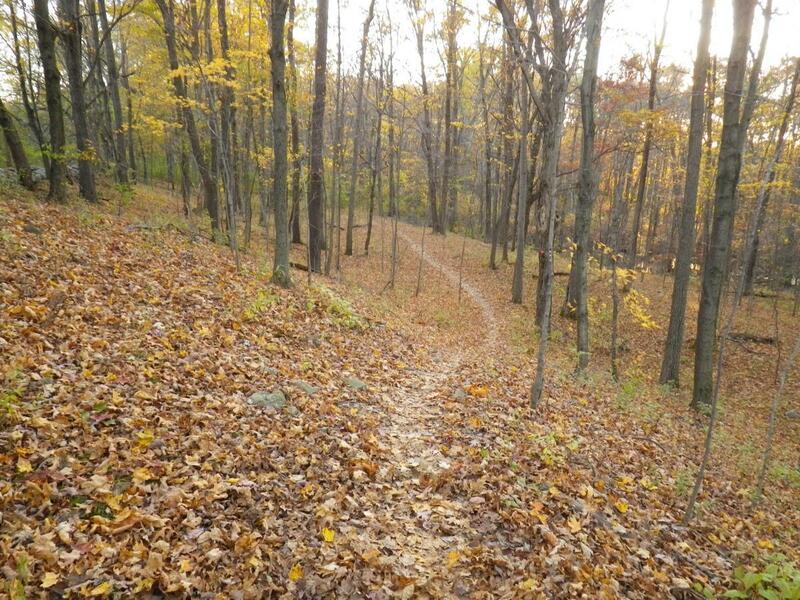 Beebe hill in austerlitz, great network of trails in the Hudson Valley maintained by our local bike club, Columbia County Mountain Bike Alliance, lots of flowy single track and plenty of technical features, new trails being built this year as well! Lots of good riding in NY. Lippmann park, Elm Ridge, and the Watershed trails in Port Jervis to name just a few others.